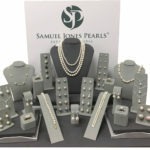 Samuel Jones Pearls is a 102 year old British company which has been proudly supplying the UK jewellery trade since 1916. Read on for a canter through our history, from our Hatton Garden roots to more rural surroundings now. The Samuel Jones Pearls story began in 1916 when the company was founded by Mr Samuel Jones, the original importer of the cultured pearl. Today the business still has customers that remember Samuel’s son, Leonard Jones, who together with his sister built the business throughout the 1970’s. The early days of the business were undoubtedly some of the toughest trading conditions for anyone, but Leonard was not easily dissuaded. During the war years, Leonard allowed Samuel Jones Pearls to trade in second hand cultured pearls – his view being that Samuel Jones Pearls did not deal in imitation pearls regardless of whether or not there was a war going on. Trade remained difficult, with the cost of a graduated row of pearls being relatively expensive at two Guineas (£2.10), items of luxury were not at the top of people’s shopping lists. 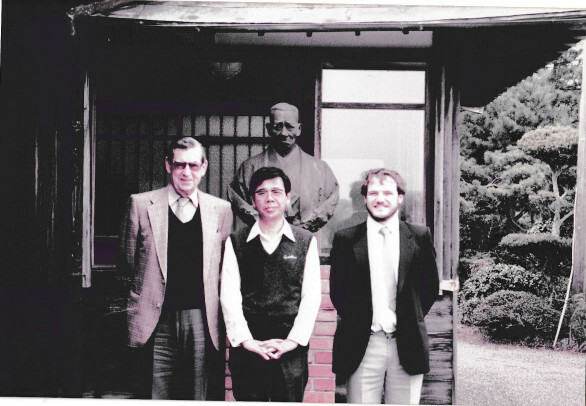 It was during these years that Leonard would meet with Kokochi Mikimoto to compare notes and discuss the excitement of the increasingly popular cultured pearl, a far more affordable option than the natural pearls that were still for sale. The roaring 20’s saw a great demand for longer pearl necklaces and it was around this time that the cultured pearl really began to upset the natural pearl market; suddenly, this luxury item was available to a much larger audience, Leonard Jones stated that his father likened his business to that of Mercier, the showman French champagne producer who succeeded in removing the snobbishness that went with the expensive houses like Bollinger. Mercier Champagne was there for the wider public to enjoy and Mercier himself never pretended his champagne was Dom Perignon in much the same way as Samuel never pretended that his pearls were natural but, instead cultivated by a method kept secret for many years. 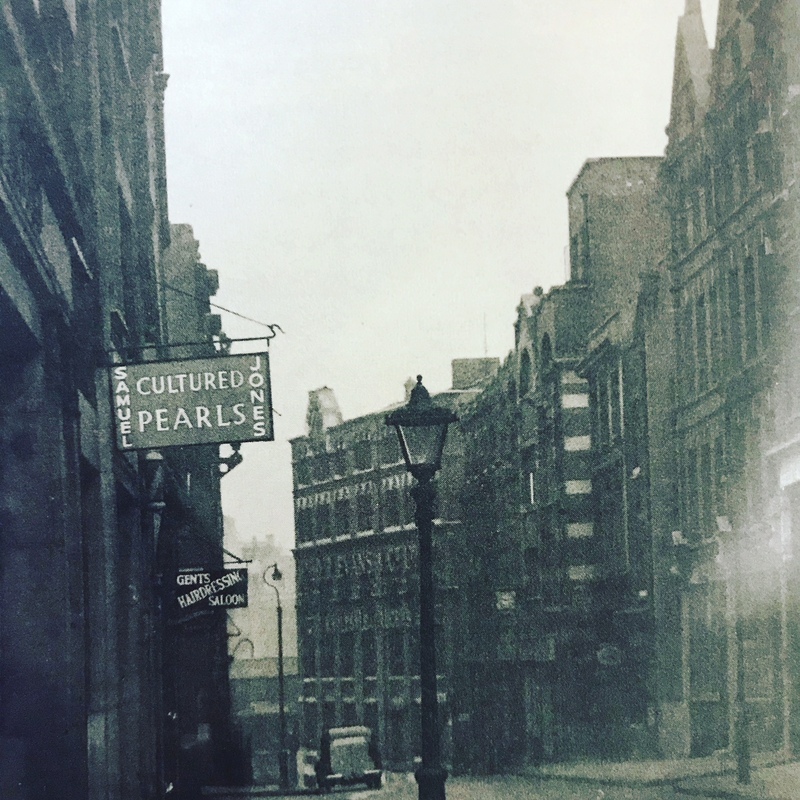 From its birth in 1916 until 1972, Samuel Jones Pearls could be found in Greville Street, Hatton Garden. Prompted by a need to relocate, Leonard decided to sell Samuel Jones Pearls to Michael Houghton. A pearl specialist who held the licence for Mikimoto pearls, Houghton was growing his own pearl empire. Diversifying his business, Houghton took on a young office boy, Richard Maymon who was employed as a general runner in 1979. 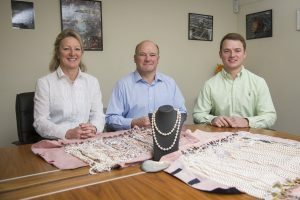 Richard loved the excitement from the outset and quickly learnt on the job, being trained by the Mikimoto company and going to Japan with the ex-Lord Mayor of London, Sir Murray Fox, to learn about pearls. Samuel Jones Pearls moved again, from Hatton Wall around the corner to Kirby Street under the ownership of Mr Houghton. In 1992 Time Products PLC bought Samuel Jones Pearls where it relocated from Kirby Street to Kings Norton in Birmingham to the Lotus Pearl factory, originally known as The House of Lipkin. In 1999, Time Products decided to relocate to Wales, and it was then that Richard – now director of pearl sales – decided to buy the business outright. Keeping one small office in the original Lotus factory, Richard carried on Samuel Jones’ business, starting out with only a few loose rows of freshwater and cultured pearls. With a small quantity of stock, but decades of specialist pearl knowledge, buying experience and a few loyal members of staff, the business continued to grow. In 2006 Samuel Jones Pearls moved again and settled in the market town of Evesham on the edge of the Cotswolds, in a converted church, Wisdom Hall. Today, as a second generation family business, Samuel Jones Pearls goes from strength to strength. Richard who now works with his wife Claire, and recently joined by son, Jack continue to run a very efficient firm, and tight-knit team. We are immensely proud of our our legacy and reputation within the industry and with a policy of never saying “No” we hope that we will continue to grow and serve the UK jewellery industry. Richard and either Claire or Jack return to Japan and China throughout the year to purchase new stock. It is the absolute truth that every row of pearls sold by Samuel Jones will have been hand selected at source, something that we’re rightly proud to be able to tell our customers.